A while ago during the few days that I was in L.A., the team from Glamour came to shoot my closet and where I blog (my sofa!) for their Chic Peek section. It looks quite different from the last time my closet was photographed (here) and since this Glamour shoot, I’ve added different touches throughout my closet and my house (I’ll share soon, I promise!) 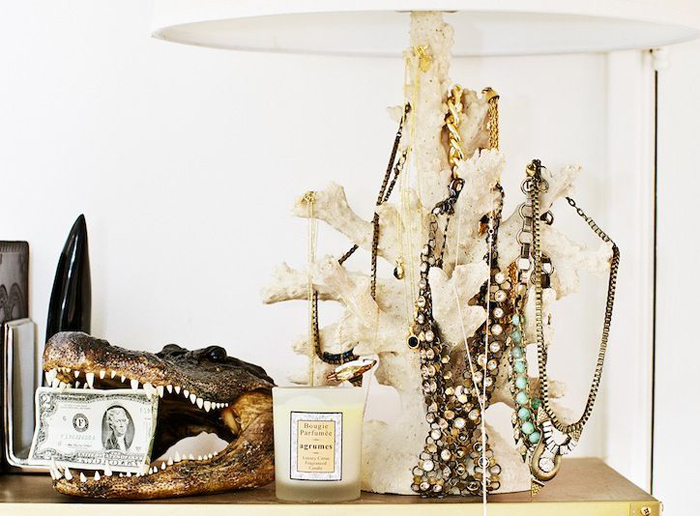 but I hope you enjoy this mini tour of my place and make sure to check out Glamour.com for more photos! Bracelets from Vita Fede, Giles & Brother, Cartier. 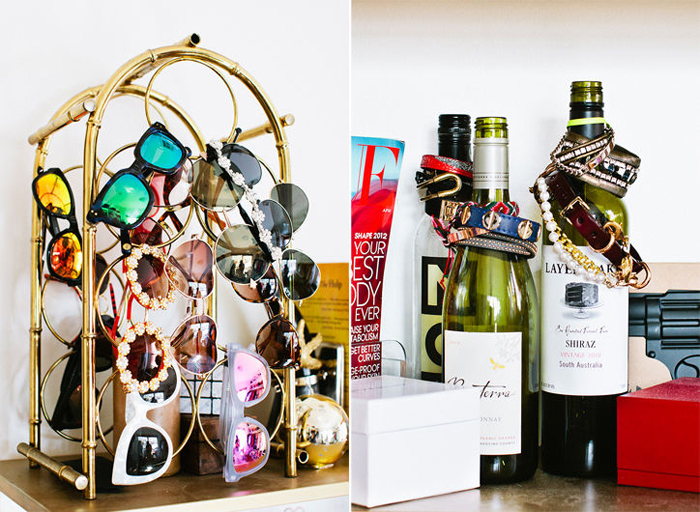 I like to store my sunglasses on a wine rack found at the flea market, and display my bracelets on wine bottles.